NINA M. PARKER has been practicing since 1981 and has been certified by the American Board of Certification in Consumer Bankruptcy since 2002. She has been continuously selected for inclusion as a Massachusetts Super Lawyers and New England Super Lawyers commencing in 2007, through 2017. Ms. Parker is named one of the top 50 women attorneys in Massachusetts and has been named one of the top 100 lawyers in Massachusetts for the years 2012 through 2017. Ms. Parker has also been continuously included in editions of The Best Lawyers in America® in the practice area of Bankruptcy and Creditor-Debtor Rights Law since 2011 and selected for inclusion in the 2016 and 2017 Edition of The Best Lawyers in America® for the practice areas of Bankruptcy and Creditor Debtor Rights/Insolvency and Reorganization Law and Litigation - Bankruptcy. Ms. Parker holds a Martindale-Hubbell® AV PreeminentTM rating. In 2015, Ms. Parker was inducted to be a Fellow of the American College of Bankruptcy Class 27. Ms. Parker was also the recipient of the 2015 Pro Bono Publico Award, United States Bankruptcy Court, District of Massachusetts, Eastern Division. Ms. Parker concentrates in the areas of consumer and corporate bankruptcies, specializing in small business and individual Chapter 11 reorganizations and Chapter 13 wage earner plans. 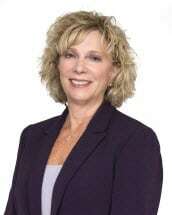 Ms. Parker is a highly experienced bankruptcy practitioner and has an extensive debtors' practice. Ms. Parker has worked tirelessly over the years to provide individualized solutions to problems arising as a result financial distress. Her philosophy is that all people are entitled to caring and compassionate representation. Ms. Parker has worked with banks to resolve issues surrounding secured and unsecured claims, enabling them to maximize recovery from insolvent debtors. Ms. Parker has represented family owned and closely held businesses as well as assisted in the formation of Limited Liability Corporations. Ms. Parker volunteers her time to a number of organizations and boards. In 2014 was appointed to the Board of Directors of the American Bankruptcy Institute after she concluded her two (2) year term as the co-chair of the Consumer Bankruptcy Committee of the American Bankruptcy Institute, and since that time has served as a member of the Membership Committee and recently, is serving a second term on the Education Committee for the Board of Directors for the American Bankruptcy Institute. In addition, Ms. Parker formerly served on the Civility Task Force, and on the Individual Chapter 11 Task Force. Ms. Parker also sits on the Advisory Board for the Northeast Conference of the American Bankruptcy Institute and the Advisory Board for the Northeast Consumer Conference of the American Bankruptcy Institute. Ms. Parker is a member of the United States Bankruptcy Court, District of Massachusetts Diversity Initiative Task Force and the United States Bankruptcy Court, District of Massachusetts Committee on Local Rules. Ms. Parker is also the former co-chair of the Boston Bar Association, Bankruptcy Section, and the former co-chair of the Diversity and Inclusion Committee and recently concluded a three (3) year term on the Boston Bar Association, Lawyer Referral Service Review Committee. Ms. Parker served a two (2) year term as a member of the United States Bankruptcy Court, District of Massachusetts Pro Bono Legal Services Advisory Committee and is presently the co-chair of the Strategic Planning Advisory Committee for the Bankruptcy Section of the Boston Bar Association. Ms. Parker also regularly participates in trainings in conjunction with the Dana Farber Cancer Institute/FPA MA. Ms. Parker has served as the Bankruptcy Section co-chair of the Boston Bar Association (2009-2011), the co-chair of the Consumer Bankruptcy Committee for the Section (2005-2007), co-chair of the ad hoc BAPCPA Consumer Committee (2007), and the co-chair of the Continuing Legal Education Committee (2008-2009). Ms. Parker also served as the co-chair of the ABI Winter Northeast Consumer and Litigation Skills Forum (2009-2010), as the co-chair of the ABI Northeast Consumer Bankruptcy Form (2006-2010) as the Membership Relations Director of the Consumer Committee of American Bankruptcy Institute (2010-2012) and was the co-chair of the American Bankruptcy Institute Consumer Committee from 2012-2014 which was awarded "Committee of the Year" in 2014. Ms. Parker has lectured frequently, including for the Boston Bar Association, the Massachusetts Bankers Association, the American Bankruptcy Institute, Massachusetts Continuing Legal Education, New England School of Law, the Flaschner Institute and the National Conference of Bankruptcy Judges on small business and individual reorganization options as well as consumer and business bankruptcy issues. Some of the presentations include Surviving Individual Business Bankruptcies: Considerations between Chapter 13 and Chapter 11 (2014), The Ethical Duty of Investigation: Does it reach into Social Media (2014), Exploring the Role of Counsel under Massachusetts Bankruptcy Court Standing Order 2013-02 (2013), Bankruptcy Then and Now: The changing role of Women in the Bankruptcy Bar and Bench (2014), Fighting Predatory Lending in the Trenches (program chair, 2008), Third Anniversary BAPCPA Special (program chair, 2008), Legal and Ethical Issues in Bankruptcy Law (moderator, 2009), and many presentations for Massachusetts Continuing Legal Education including the Bankruptcy Law Conference (2007), and Bankruptcy Law 2012 - Consumer Panel on Chapter 13 Plans (2012), Advising Businesses on Bankruptcy & Restructuring (2009), Keeping the Family Home & Avoiding Foreclosure (2009), Bankruptcy: An Overview (2009-2012), Amendments to Federal Rules of Bankruptcy Procedure for Proofs of Claim (2012), American Bankruptcy Institute Northeast Consumer Forum, Recent Rule Changes Affecting Chapter 13 Practice (2012). Protecting Your Practice from the Unexpected (2015), Bankruptcy Issues to Consider When Drafting Estate Plans for the Elderly (2015). Rules Changes Critical to Representation of Debtors and Creditors and the National Form Chapter 13 Plan Bankruptcy Bar and Bench (2017), New Plan Review, the New Chapter 13 Plan and Rules Explained Boston Bar Association Bankruptcy Section (2017).